Are People Using HGH Injections Therapy to Lose Weight? There have been numerous studies done that prove that the ability to get rid of excess fat stores within the body by way of hormone replacement therapy (HRT) is very positive. However, HGH injections to lose weight are a side effect of these medications and not a sole reason to take them. The findings of a study out of the division of endocrinology at Saint Louis University School of Medicine were presented at the 85th Annual Meeting of The Endocrine Society. These findings were significant for a couple of reasons. Firstly, carrying around excess weight is a huge health risk here in the United States. According to many sources, over 30 percent of the country is overweight. Some of these people are affected by a slow metabolism which is a by-product of losing naturally produced growth hormones with age. Being overweight can lead to cardiovascular issues, sleep apnea, lung disease, body aches and pains, diabetes and more complications as well. This study proved that the subjects who took the appropriate dosage of HGH injections to lose weight stopped accumulating extra fat and dropped weight as they gained muscle mass. Those who were in the placebo group did not lose any weight at all or gain any lean muscle. The doctors in charge of this research were very excited about the promise that human growth hormone had for the losing of unwanted weight. However, it is important to remember that HGH medications are not given solely for the need to lose weight. A person must be properly tested and diagnosed as having a growth hormone deficiency before being able to get a prescription for HRT. Those who are overweight have been said to have a drop in growth hormone production because of that excess fat. They then also become sapped of energy and stamina and do not exercise. The metabolism slows and they do not burn calories. It becomes a no win situation for anyone – the overweight person or their loved ones. The truth about HGH for weight loss was demonstrated by the researchers at Saint Louis University through their 6 month study. The majority of the fat loss in their subjects was in the belly area. They also noticed that subjects had improvement in lowering bad cholesterol levels and elevating the good cholesterol ranges. How Much Growth Hormone Injections Should I Take To Lose Weight? The dosage of HGH given via injection to qualified patients will depend upon the person’s body chemistry and their body composition. How much growth hormone injections should I take to lose weight? This is something that no patient should have to concern themselves with or worry about. 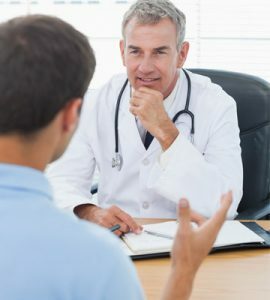 It is highly important for patient to be on a reputable and noteworthy HRT program with a qualified licensed doctor who will be making those decisions. After the physician in charge analyzes and scrutinizes a patient’s test results, they will be able to come to a conclusion about what the right dosage of medication is for each individual client. The doctor will then make a tailor made treatment plan for each different person. The dosage of medication is extremely vital to get correct. Too much formula can cause negative side effects and too little may be useless. Therefore, doctors must be very careful when prescribing. So many people want to know will HGH injections help me lose weight? The answer is yes. In the Saint Louis University study, a balanced amount of injection was given to create positive results of weight loss with no negative side effects reported. Probably the most amount of interest in the idea that human growth hormone injections could help people to drop pounds and to gain muscle was verified by a study published in the New England Journal of Medicine. The subjects in this research had an 8.8 percent increase in muscle gain and a 14 percent loss in body fat. This was all done sands any exercise or diet. Again, these kinds of medications (HGH) are not legal without a person having a growth hormone deficiency as proven by blood test results. Do HGH injections help you to lose weight? A plethora of studies and patients of HRT themselves say that they absolutely do; however, this is only one of the benefits of taking the medication. Fat loss is a result of an increased metabolism for one, when using these injections. When taking human growth hormone injections for a GH deficiency there are other ways to help the body produces its own hormones along with the medications. How to get maximum benefits from HGH injections is not difficult, but what it will take is a lifestyle change. A person must be cognizant to the what kinds of foods they put into their systems, the exercise that is needed, the sleep that is imperative and the significant importance of keeping stress levels low. In addition, cigarette smoking is not recommended under any circumstances. What kinds of foods are good for helping to maximize HGH shot advantages? Highly nutritious foods such as green leafy vegetables are one. Fruits, lean proteins and omega-3 fats are great for good health. Refined sugars and bad fats can make a huge difference in the amount of natural GH that is manufactured by the pituitary gland. In many ways the expression, “you are what you eat” is true. One should stay away from those bad foods or only eat them in moderation. When thinking about taking HGH injections to lose weight, exercise helps the process to speed along even faster. Once the medication helps metabolism quicken, fat loss occurs. When a person adds moderate exercise, this will help him or her to lose more weight and to have it occur more quickly. Unfortunately, most people in America do not exercise on a daily basis. Professionals say that getting the heart beating quickly through aerobic exercise or dynamic working out is optimal. This will be a life change for anyone who is not used to taking part in physical activity, but it is necessary. Sleep. When the body is in deep slumber it rejuvenates and heals. Experts say that getting about 8 hours of sleep per evening is the best. This is when growth hormones produce as well. So, if a person is used to staying up all night and waking early in the morning, they must get themselves into the practice of changing their schedule to where they can give their body the sleep it desperately needs. Learning the truth about HGH for weight loss and how lifestyle habits go hand in hand with reaching the best results is chief. This is how a person will meet their HRT goals that they have set for themselves. What Is The Best HGH To Lose Weight? Any other brand of HGH medication will not do. So, if presented with an offer to purchase something other than what is listed above because it may be less expensive or for another reason, a client is advised to decline the offer. Will I lose weight taking HGH injections? A natural side effect of taking these kinds of bio-identical formulas is to quicken the metabolism and to boost the body to lose weight. One of the first benefits that a client usually sees upon beginning their HRT program is the loss of body fat. It can be very encouraging and motivating to see quick results and clients are most likely to be excited to continue with treatment. When they see their body’s physique changing as time progresses and they are following the exact prescription written uniquely for them, their self esteem and self confidence will continue to soar and their emotional well being will elevate. There are so many other side effects from hormone replacement therapy in addition to shedding pounds, but besides the increase in energy and sexual desire, losing weight is one of the most sought after advantages of this kind of therapy. How long does it take to lose weight with HGH injections? There is not one single day of treatment when all clients will notice the number on the scale is decreasing, but the overall time frame of seeing that happen for most patients, according to many different sources is within the second month of therapy. This is when it is noticeable that belly fat is waning. It is a time of great joy for most clients who are excited to feel and look better due to losing excess fat. Do HGH Injections Help You To Lose Weight? Shots are given on a daily basis and there are different ways of delivering the medication into the body. The typical syringe and needle is an easy way to painlessly administer the medicine and there are pens available as well. Pens are often a bit more convenient and are easier to take on the go. Learn how to get maximum benefits from HGH injections and one can help the injections to work faster and more efficiently to not only lose weight, but to gain all the other benefits listed above and even more. How Long Does It Take To Lose Weight With HGH Injections? Energy and stamina surge, emotional stability balances and sleep becomes more restful and deep. Skin elasticity increases and wrinkle appearance reduces. Hair and nails begin growing faster and hair gets that healthy shine to it. This is also the time when fat loss begins to take place. How much growth hormone injections should I take to lose weight? This will be up to the doctor in charge of writing the prescription. Patients will notice fat loss in that hard to lose abdominal area first. Since metabolism increases with HRT, this helps weight to drop. At the same time, lean muscle mass will form and the person’s overall physique will increase in attractiveness. Continue reading to see what will transform next. Will I Lose Weight Taking HGH Injections? Within 60 days of treatment a person will begin noticing a great increase in the ability to focus and concentrate. They will have a much higher sexual drive and erectile dysfunction will disappear. The ability to perform well will increase and help with successful intimate relationships. Motivation and drive will also escalate and a person will feel much more self confident. Performance on the job should upturn as well. Mental focus and concentration will continue to increase to the point of better memory and much better ability to complete tasks. Energy levels stay high, continuing to keep a patient active and dynamic. Happiness increases as a person become full of life. Skin continues to appear healthier, clearer and wrinkles are much less noticeable. Hair continues to thicken. Nails grow even quicker. 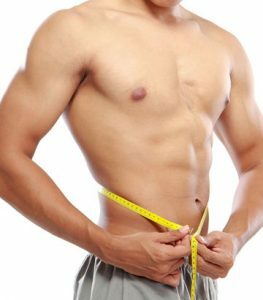 HGH injections to lose weight continue doing so as a person sheds more pounds and develops more lean muscle mass. A lot more of the same occurs in this 2nd to last month of treatment. More weight loss, hair and nail growth and many of the above listed benefits that one cannot see are happening within the body including a healthier heart rate, a stronger immune system and more. In this final month of therapy, cholesterol levels have lowered as have triglyceride levels. Bone density has strengthened and general health has enhanced. Organs have grown in size, including the brain. Eye sight is sharper as is mental acuity. What is the best HGH to lose weight and to experience all these other remarkable benefits? Exactly what the doctor has prescribed from the reputable clinic that has had the honor to work with a diligent and committed client.